"Once there was; once there wasn't. ....and to an Armenian one." Daring to bring up a controversial issue such as the Armenian Genocide and Turkey's constant denial of the same, the Turkish author, Elif Shafak, an ardent feminist, set this story revolving around two young women- Asya and Armanoush. On the one hand is the Turkish Asya, nineteen, who portrays a rather rudimentary self even though she is raised by her affectionate aunts and her grandmother, while on the other hand, Armanoush, twenty-one, is an Armenian-American girl who is much gentle and unassuming than Asya. Inquisitive about her Armenian roots, Armanoush travels all the way from Arizona to Istanbul without her parents' knowledge. Her visit unravels the secret that links both their families and ties them to the 1915 Armenian deportations and massacres. 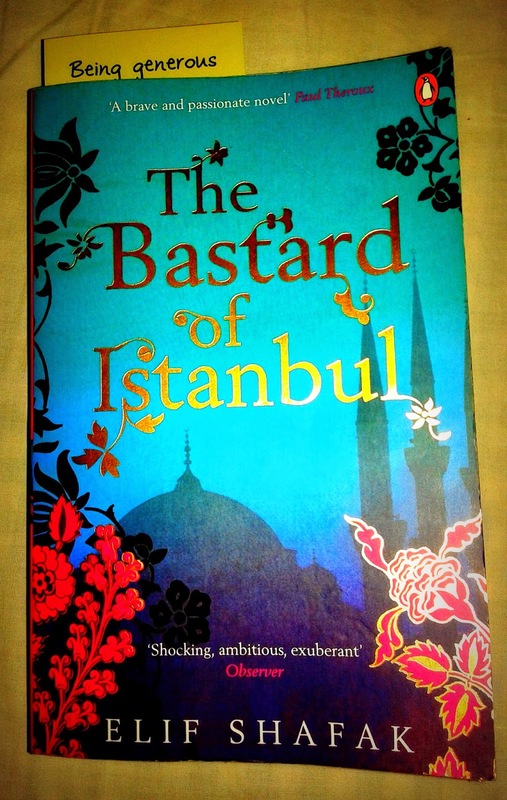 Elif Shafak was put on trial for allegedly "denigrating Turkishness" when she revealed the contemporary mindset of the Turks and their Armenian counterparts regarding their history in this novel. Her style of writing is fancy yet straightforward,outspoken yet gripping. Through her narration,she brings forth her feminist ideology and tries to empower a woman's mind and heart, as she surely empowered mine. This is because I could really identify with Asya's character or maybe I crave to identify with her,to some extent . She projects an image of a rock-hurt by nothing but only her questionable past- which she thought was buried in some deep abyss never to surface again. Her personal manifesto of nihilism suggests a deep rooted hatred for pretence but love for self. She is not a "tea-glass woman" , the kind of Istanbulite women Shafak truly criticizes. In this fashion, Elif Shafak drew a clear picture as to what kind of woman can survive the "traumatic culture" that Turkey, apparently, bred. Still, what remains to point out is the psyche of the people of modern-day Turkey. They are "stuck between the East and West. Between the past and the future." The secular modernists on one side and the conventional traditionalists on the other side are keeping the common man from speaking any critical word, which also, could be the reason why Elif Shafak got into trouble with a novel this honest. To sum up, this book can give you goosebumps taking you across a crooked bridge from the troubled past to an unresponsive present along with some insight on Turkish-Armenian relations over the centuries. I must pick this book up from my TBR pile. Thanks for the review.